I recently returned from a short visit to Siem Reap in Cambodia and to the nearby temple complex at Angkor. It’s a place I have wanted to see for more than forty years. However I was more than a little apprehensive as a result of reading all sorts of negative stuff on-line. 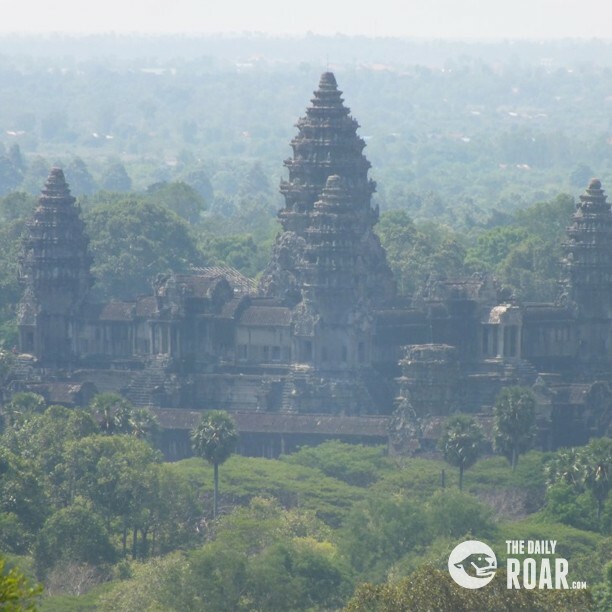 For those who may not be aware, the complex at Angkor Wat (City of Temples) is a pretty big deal – built more than a thousand years ago it’s the largest religious complex in the world and at its peak housed more than a million people. 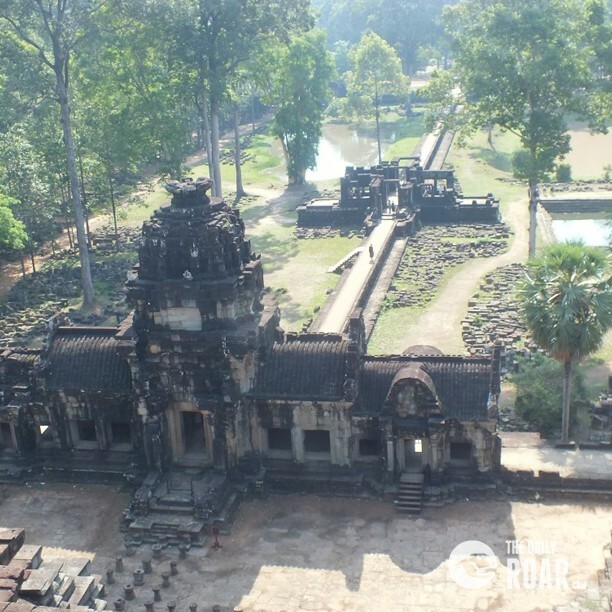 Serious restoration and excavation began in the early twentieth century and the main area of ruins cover more than 400 square kilometres in lush tropical forest. It’s also the principal tourist attraction in Cambodia, and therein lay the source of my worry. 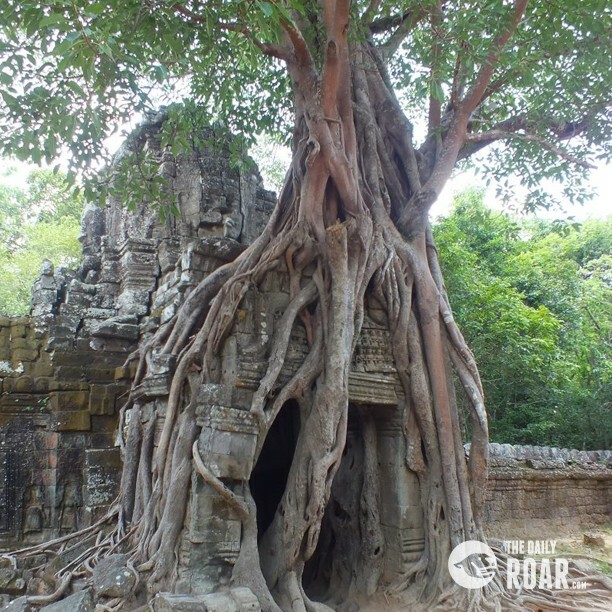 People have been visiting Angkor since the early 1900s and it’s very popular. Many reviewers complain about jostling crowds and intrusive, tenacious vendors. Several also note the high cost of visiting. It didn’t sound good – I mean, if I wanted to go to an overcrowded, overpriced tourist attraction, I could just have stayed at home in Scotland. Was I needlessly worried? You bet! 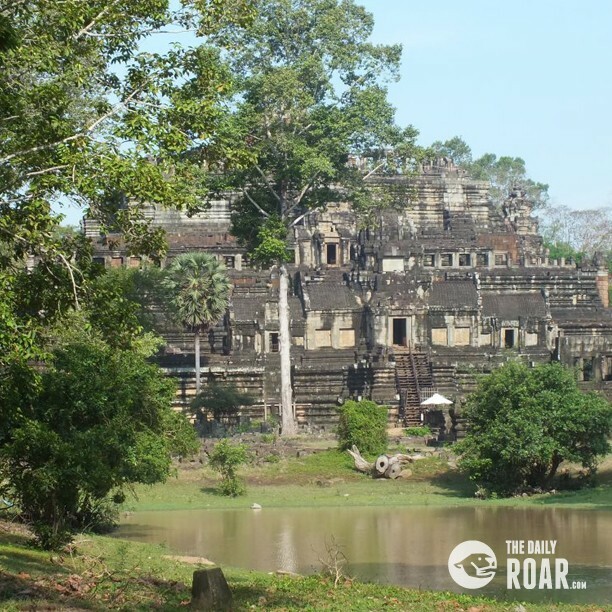 It’s true, there are lots of visitors to Angkor, even at the end of April which is officially the low season. However, the majority arrive in coach parties and are herded through a route which takes in specific parts of the complex at particular times of day. If you plan your trip to avoid sites at busy times, you can find quiet places even in the most popular areas. Was it worth the forty year wait? Emphatically, absolutely, yes! I struggle to find suitably superlative adjectives and it’s even difficult to pick out the best bits. 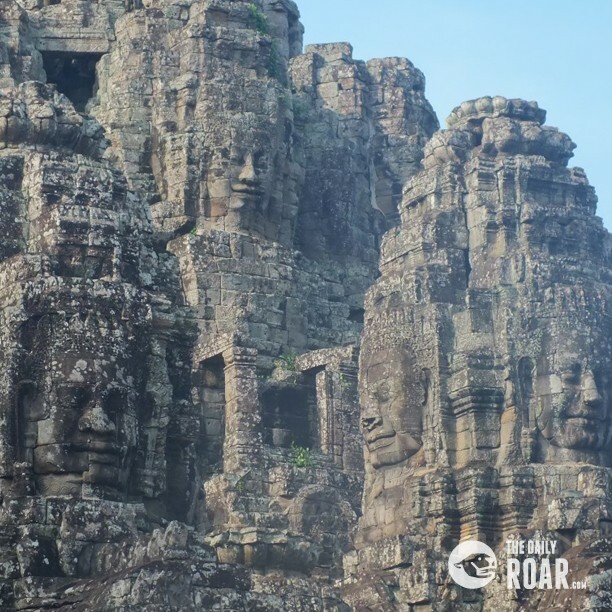 The faces on the towers in the Bayon at Angkor Thom. The Baphuon. 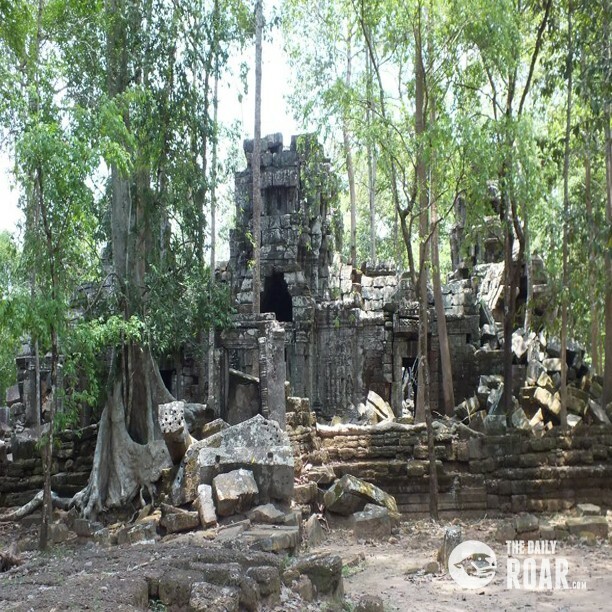 The tiny temple at Ta Nei, half overgrown and tumbledown; My wife and I were the sole visitors there, to a soundtrack of incessant chirruping of insects and the distant screeching of birds and monkeys in the surrounding jungle. Trust me; you need to go there. Negatives? It’s hot. Very hot, and very humid and you need to be prepared for that. In April/May on many days it rains very heavily in the late afternoon (which is why it’s the low season). There is just so much to see that if you try to cover too much in a single visit, you risk becoming “templed out”. 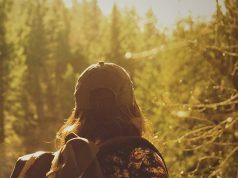 If you go as part of a group tour, you’ll miss the opportunity to see some of the quieter places. Finally, in a few places there are very persistent vendors selling trinkets. Horribly, many of them are young, undernourished children. Either steel yourself to ignore them, or give what you can, where you can. This is a very poor country and these kids aren’t doing this for pocket money; they’re doing it so they can eat. While we’re talking about money, I didn’t feel that the visit was excessively expensive. A three day pass gives you access to the park from sunrise to sunset and costs $40. 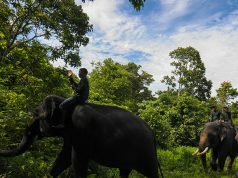 A tuc-tuc (a motorcycle which pulls a covered trailer which seats up to four) and driver can be hired for just $15 per day and this includes collecting you from your hotel and touring the temple sites. And I have to mention the Cambodians themselves. All the folk we met there were the friendliest, most courteous people imaginable. As an example, at the airport we discovered a visa problem which might have left us stranded for some time. Instead the airport staff helped to resolve the problem so quickly and efficiently that we were able to catch our scheduled flight. I know from bitter experience that this sort of service just doesn’t exist in many parts of the world. So, ignore the on-line nay-sayers. Angkor is unique, awesome and beautiful. If you get the opportunity; go there. I don’t think you’ll be disappointed.